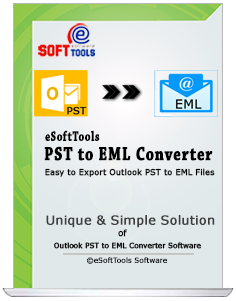 eSoftTools PST to EML Converter Software is the finest and trustworthy program that convert outlook PST files into EML files. This tool is expeditiously well-organized windows based application that performs very fast on all windows operating systems versions included windows 10, windows 8.1 and windows 8 and bellows versions for performing the accurate or secure PST to EML Conversion. PST Export Tool doesn’t use hard progression to export PST to EML, a user can easily understand the process of the software while conversion and very fluently convert PST to EML included emails properties, journals, task, notes and appointments. Provides the facility to convert multiple outlook PST files in single run. Not require technical knowledge with extremely interactive and having very users friendly interface. Convert Both ANSI or UNICODE PST file into EML format. Supports all versions of Microsoft Outlook and Windows Operating systems. This PST to EML is very helpful program that solves users program related to export Outlook files into EML files with maintains all folders hierarchy and email formatting. Software is made with advanced techniques & unique conversion formula. This is technically advanced but non- technical user can also use this application as a professional due to graphical user interface. With this multi featured conversion, users are capable to convert both single and multiple PST files simultaneously. It means users can convert unlimited outlook files (Any size) into EML file with preserve database. PST Export Tool allows users select the folders from outlook file in order to convert all of them included emails or attachments into EML files that will easily import any mails clients that supports EML such as- outlook express, windows, windows live & thunderbird. With preserve all emails formatting and attachments reliability the software performs the complete conversion process of PST files included folders, sub-folders and emails into EML files without making any kinds of changes. 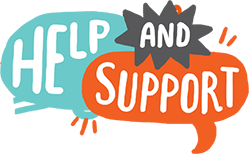 PST to EML Converter Software is that wonderful program which capable to supports both ANSI or UNICODE PST file for smart conversion its folders or sub-folders emails into EML files with preview all the conversion process. PST to EML Converter Software is able to create preview of all outlook conversion items into EML format. It previews PST emails, contacts, calendars, task and appointments. Converted EML file open in multiple mail clients such as- outlook express, thunderbird, windows and windows live mail. One of the highlights of this Software is its compatibility to supports all windows versions included windows 10 (32 and 64 Bit). It supports MS outlook versions included 2016, 2013, 2010, 2007, 2003, 2002, 2000 and 97 (32 and 64 Bit). What time will the PST to EML Converter take for doing complete conversion? All the conversion time, will be depend on the size of PST file. Shall i export my each 'n' every data from PST file to EML? Is any DEMO version available ? Yes, DEMO version available and users can use it for examine software steps of conversion.